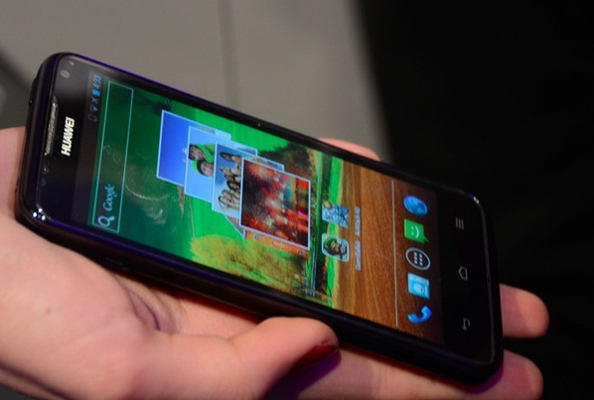 Huawei has introduced what it calls the world's fastest quad-core smartphone, the Huawei Ascend D quad. Powered by Huawei's K3V2 quad-core 1.2GHz/1.5GHz processor the beast comes with Android 4.0. In an aggressive presentation at the Mobile World Congress Show in Barcelona, Huawei repeatedly compared its new product to Samsung’s Galaxy Nexus and Apple’s latest iPhone. Huawei also unveiled the Ascend D quad XL and Ascend D1. Both devices include 32-bit true color graphic processors, an 8-megapixel rear-facing camera with 1080p full HD video capture and a 1.3-megapixel front-facing camera with 720p video capture. The phone also has Dolby 5.1 Surround Sound and Audience earSmart voice technology and an 8-megapixel BSI rear-facing camera, 1.3 megapixel front-facing camera, and 1080p full HD video-capture and playback capabilities. Ascend D Quad is much faster, too- 20 percent to 30 percent faster, in fact, than one running the Tegra 3.